Blackberry DTEK50, the second blackberry smartphone that runs on android after BB10 smartphones, has been released just few hours ago by blackberry. 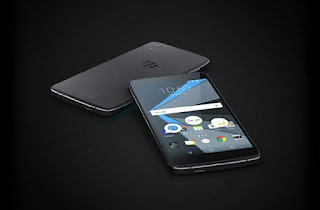 This latest blackberry android smartphone is said to be the most secured android phone in the market, and also blackberry's slimmest phone ever with a stunning 5.2 full HD screen, scratch resistant, smudge proof, all touch design and comes with everything an average smartphone user would want. BlackBerry DTEK50 runs on android 6.0 marshmallow and it is built with a secured boot process accompanied by other high security features more than what other android smartphones offer and at a cheaper price. DTEK50 encrypts all users data and also has an inbuilt malware protection. Below are the major spec's of Blackberry DTEK50. Blackberry DTEK50 is available for pre-order from shopblackberry.com for $299.